Is your prayer life feeling flat and routine? Most days mine feels non-existent and with Pray being my word of the year, I'm trying to navigate ways to enhance it. Maybe you need the same encouragement? 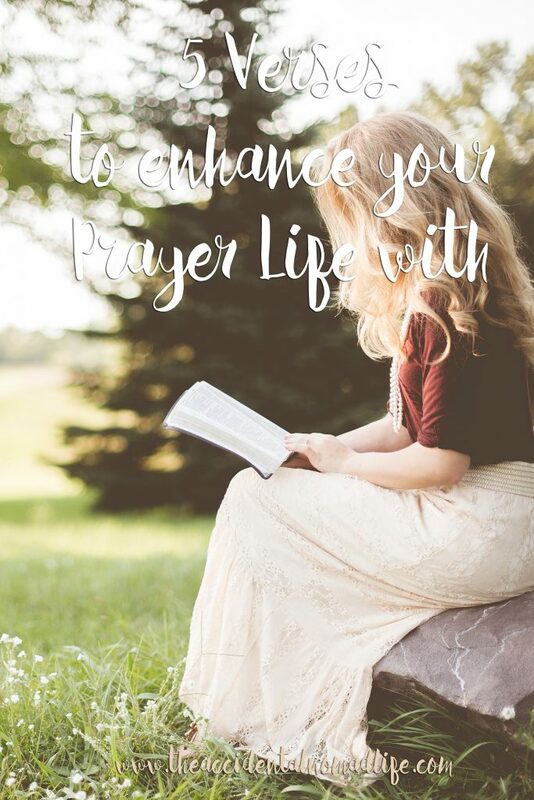 In order to enhance my own prayer life and work on it to get it to be a flourishing, refreshing time rather than a quickie, get it done with time I wanted to do some research to find what would help. I had the privilege of attending a local gathering of the Christian Women in Media recently and the speaker, Lisa Burkhardt Worley, was sharing her story about running. She was encouraging us to seek His face instead of running from our fears. To follow, trusting that although He will bring us face to face with our fears, He will make us better through the trial. She shared with us that her word, also, is Prayer and in the midst of learning that, God spoke to her through Psalm 84:10. Let me tell you, THAT is why I went that night. To hear THAT scripture - reminding me HOW my prayer life should be and what I needed to be doing in order to focus on improving my prayer life. Better is ONE DAY in his courts. I rarely take the time to step into his court. I typically take his presence for granted and pray on the fly. To be fair though, I can't remember the last time I had an actual conversation that wasn't taking place with me on the move. But that's EXHAUSTING. Besides the fact that I am sick and pregnant and chasing after three boys, I can FEEL my exhaustion lately in everything I do. My house has gotten out of hand, I fell be hind on my Lulu work, I don't have blog posts scheduled a week out like I want to, my work work was neglected one day due to my exhaustion. And I realized the other night, as she was speaking, all I have to do is take a day. And just be in His presence, entering into his court to be with him and talk to him for a time. I see more and more clearly how guilty I am of taking God for granted. I know that he hears me, he knows my thoughts, he knows my needs, all before I say them and a lot of the time, I just go about day to day, once in a while shooting up a prayer asking for something that crosses my mind or throwing out a request that was asked for my prayers, but it's always so half-hearted, I think. When I ask for things, I have a lot of doubt that it will be answered as I want it to. It could be a pride thing, it could be a protection thing, I'm not totally sure why I do this, but I struggle with it. I see that I need to clearly LOOK to the Lord for his strength, more than just knowing it, recognizing it and seeking him instead of just shrugging him off. I want to make this my prayer every morning -that the eyes of my heart may be enlightened. I so easily forget about the hope that I have in him because I look back at myself and my success and feel no hope. What a rich treasure it is to have hope every single day. In every part of life, happy, sad, bad, good, war, peace, etc...We need to be praying. I want to try to sing for joy when I feel it in my spirit. I once had a camp pastor say that the song you wake up with in the morning was given to you by God. I love the idea that He can wake us with a song already in our hearts. I cling to those days a little stronger and cherish those songs a little more. Be attentive to the song that he puts in your heart. Oh friend, let me be the first to tell you that THIS is the most difficult part of my prayer life. I STRUGGLE with trusting that I have received what I asked for in advance. What about the prayers that seem to have gone unanswered? What about the prayers that seem to be taking an interminable amount of time to hear an answer? They have still been answered. The answer is already written in my story, I just have to be willing to be patient and listen. It comes back to entering into his courts and LISTENING to him. Being in his presence, waiting to receive what he has for me in precious conversation. How did these verses speak to you? Do they challenge you differently than they are challenging me?